Can the Pirates Finally Get Over the Top? 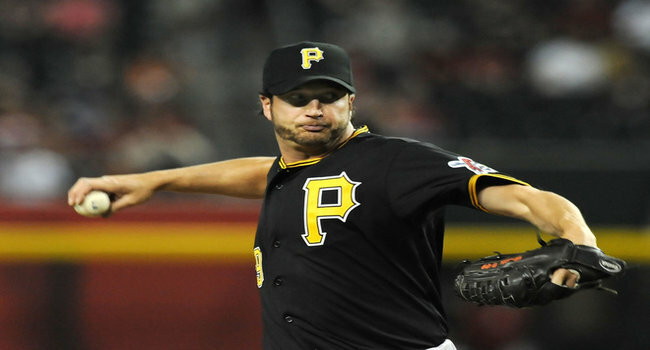 Grilli has been spectacular as a closer for the Pirates this season. In a city with perennial winners in football and on the ice, you may have hard time believing there is another professional sports team in Pittsburgh. In fact, the Steel City is one of the more impressive baseball cities with a devoted and knowledgeable fan base who deserves a hell of a lot better than what they’ve dealt with since the early 1990’s. The last two seasons, the Battling Buccos were in prime position to end one of the more ominous streaks in professional sports. At the All-Star break in both 2011 and 2012, the Pirates were on a pace that would have finally gotten them a winning season but late season collapses doomed the team and its’ fans. The Pirates unfortunately extended their streak of losing seasons to 20 straight and teased their fans in the process with the possibility of not only a winning season, but also a playoff berth. So now in 2013, you’ll have to excuse the fans if they are not exactly jumping for joy at the great start by their Bucs. They’ve seen this movie before and it ended tragically two straight times. Therefore, you’ll need to forgive them for remaining a bit skeptical despite the team’s 33-20 record entering their game against Detroit last night. Besides fate and history itself, the Pirates are also battling two of the top teams in the National League. At the current time, they are tied for second place with the Cincinnati Reds. The two teams are just two and a half games behind Central Division leader St. Louis. Obviously if you ask of the talking heads at FOX, ESPN or the MLB Network, they’ll tell you that of the three teams only the Cards and Reds have staying power. It would be hard to disagree with that line of thinking based upon the last two seasons for Pittsburgh. So the question before us my fellow bettors is can this team finally make it to 82 wins and beyond? Let me give you some information that will help you decide. 'Cutch' is an outstanding player but he'll need help to get the Pirates over the top. First of all, the Pirates are in the midst of a stretch of games where we may find out just how legitimate they actually are. After finishing a four-game set with Detroit, the Pirates will play Cincinnati seven times over the next month along with series against Atlanta, San Francisco, Los Angeles and the Angels of Anaheim. Should they come through the next four weeks at .500 or better, taking them seriously might have to be considered. When you look at the Pirates statistically, you kind of end up scratching your head a bit. They rank 20th in runs scored, and 24th, 22nd and 19th in batting average, on-base percentage and slugging percentage respectively. What I found really striking was their total runs scored versus their two Central Division rivals. Both St. Louis and Cincy have scored 40 or more runs already this season than Pittsburgh while giving up basically the same amount. So just where is this team finding success in 2013? Look no farther than the little mound of dirt in the middle of the diamond. The Pirates are second in the National League in pitching just behind St. Louis. They have a 3.19 earned run average and perhaps more shocking is that they are limiting opposing teams to an average of just .222 on the season. We also must consider that closer Jason Grilli is 22 for 22 in save opportunities and has an ERA of 1.09 and you’ve got the makings of a very strong bullpen and pitching staff. My concern for the Pirates is offense. Will they be able to generate enough runs and will the ownership finally go out and get a big bat at the trade deadline or before? If the answer is ‘no’ to both of those questions, then 82 wins may still be a dream only. If you aren’t in the baseball spirit already, it’s about time to get pumped for a long spring and summer filled with action on the sun-drenched diamond. With the NBA and NHL playoffs about to get underway, most of the attention will be turned in that direction in the coming weeks, but until then you’ll be able to enjoy all the MLB offerings, including a nine-game slate today that is simply dying to be wagered on. Oblige it by checking out our quick picks! The Sox have gotten off to a decent 7-4 start while the Rays have struggled at 4-7. The Rays rotation – which was so solid a year ago – has gotten beat up so far this season, but don’t expect that to continue. Despite their records, the Rays are the better and they should start to put together some wins. Take Tampa to cover +1.5 here. The Reds are certainly one of the favorites in the NL this season, but the Phillies look like an improved team ready to make a run. 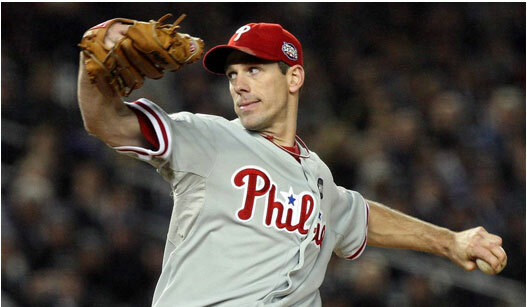 Cliff Lee is getting the ball for Philly today and considering how brilliant he has been in his first two starts – with a 2-0 record and 1.08 ERA – it would be hard to go against him and the Phils here. Take the Phillies to cover -1.5. Mark Buehrle has been absolutely shelled in his first two outings for the Blue Jays, as Toronto has failed to live up to preseason expectations – at least so far. However, we know how good of a pitcher he is and against his old team – a team he is undoubtedly familiar with – he should perform much better. Look for the Jays to win this one and cover -1.5. Pittsburgh was one of my dark horse picks coming into the season and although they haven’t been great so far, they certainly posses the kind of young up-and-coming talent that could shake up the NL Central. Plus, they have home field today, so take Pittsburgh to cover +1.5 here. It’s been a bumpy 3-8 start for the Angels, but they simply have too much talent to stay in their current rut. Look for L.A. to begin to pick up the pieces and earn the win against the Twins, covering -1.5. This may be one of the more lopsided match-ups of the day, with basement dweller Miami hosting one of the favorites to win the NL pennant, Washington. Jordan Zimmermann is getting the ball for the Nats today and he has dazzled so far this year, going 2-0 with a 2.08 ERA in his first two starts. Look for more of the same from him and for the Nationals to earn the win, covering -1.5. Houston is expected to be the league’s worst team for the second straight season, so this should be a pretty easy one considering how well the A’s are playing. Take Oakland to cover -1.5. The Rockies have enjoyed a surprisingly fast start and against the Mets, they should continue to find more success, especially at home and against starter Dillon Gee, who got rocked in his first outing for seven earned runs. Look for Colorado’s power hitters to rock Gee and earn the win, covering -1.5. Carlos Quentin will not be in the lineup tonight for San Diego after receiving an eight-game suspension for charging the mound and injuring L.A.’s new star pitcher Zack Greinke. That will hurt the Padres and they were already at a huge disadvantage playing at Dodger Stadium, so take the Dodgers to win this one and cover -1.5. A late season surge by Cole Hamels and the Philadelphia Phillies all of a sudden has the team making a push for the postseason. With just two weeks left in the season, the race for Major League Baseball’s postseason is as hot as it could possibly be. Not a single division has been decided, although you can put a marker beside Cincinnati (89-59) and San Francisco (85-63) who have all but insurmountable leads heading down the stretch. The NL East tandem of Washington (89-57) and Atlanta (85-64) both look postseason bound. The only question there remains whether the Braves can catch the Strasburg-less Nationals? In the American League, Texas (87-60) looks good for a postseason berth but a resilient Oakland (84-63) side is still making a bid for the division title whilst leading all in the Wild Card race. New York (83-63) and Baltimore (84-63) are knotted up at the top of the AL East. Chicago (81-66) has regained a three-game lead on Detroit (78-69) and will hope to ride out the last season storm. But odds released by Bovada have offered up an interesting look at Baseball Futures. Bovada currently ranks Texas as 9/4 favorites to win the American League outright and 9/2 favorites to win the World Series. From this point forward you should consider the Rangers in the postseason. Of the remaining teams, the New York Yankees are favorite to make the postseason (-800 Yes, +500 No) alongside Oakland (-800 Yes, +500 No). No surprise there, except New York is currently embroiled in an all-out war with Baltimore for the division crown, and both are just three games ahead of the trailing Wild Card pack. The Yankees are actually 7/2 to take the AL outright and 7/1 to take the World Series. This is the sort of respect a 27-time World Champion is bound to get. Baltimore meanwhile is expected to make the postseason (-115 Yes, -115 No) for the first time since 1997 via the final Wild Card spot. The White Sox are favored to make the postseason (-150 Yes, +120 No) from the AL Central over Detroit (+110 Yes, -150 No). This leaves the Angels (81-67) and Tampa Bay (78-70). The Angels are a stretch (+250 Yes, -325 No) to make the postseason, whilst Tampa’s poor play of late has them out of the running in the eyes of the oddsmakers. At six games back in the Wild Card race it might be time to write off the Rays. Despite all of this, Detroit (14/1) and the Angels (15/1) have shorter odds of winning the World Series than Oakland (16/1), Chicago (16/1) and Baltimore (18/1). Tampa Bay (18/1) even has the same odds of taking the trophy. These are anomalies that suggest a bet on the Orioles makes sense. Although the National League may be a little clearer at the top, the Wild Card picture is particularly murky. Cincinnati (13/2) and Washington (7/1) are favorites to take the World Series. San Francisco (9/1) follows close behind. The three, alongside Atlanta, look to have done enough to secure four of the five postseason berths. That leaves six teams (Los Angeles, Philadelphia, St. Louis, Milwaukee Pittsburgh and Arizona) battling for one vacant spot. Take a look at that list again. That is not an arbitrary order; it’s how the teams rank in terms of World Series odds, from shortest to longest. That’s right; the Dodgers have the best World Series odds (20/1) of any of the teams in the hunt for that one last berth. Well, at least they share the best odds. Philadelphia (20/1) has pricked the attention of oddsmakers with a late season charge. The big difference is the Phillies (74-74) currently sit four games back of the St. Louis Cardinals (78-70) while the Dodgers (78-70) are 1.5 games back. It would take some charge to live up to those expectations. But what of those Cardinals? This is where these odds take another unexpected twist. Despite being considered less of a World Series threat than the Dodgers and Phillies, the defending champions are actually considered more likely to make the postseason (-150 Yes, +120 No). To compare: Philadelphia (+350 Yes, -500 No), Los Angeles (+400 Yes, -600 No). If we use the same logic as we used for Baltimore in the AL, this makes St. Louis a worthy bet, doesn’t it? Oddsmakers still give Milwaukee (75-72) a slim chance of making the postseason (+600 Yes, -1,000 No) but any patience with Pittsburgh (74-73) and Arizona (73-74), who both remain on the fringe of the hunt, has long gone due to both trailing off in the last third of the season. Accordingly, the World Series will be contested between Texas and Cincinnati. The only thing with that is, there’re still two weeks to play and 18 teams will have something to say about it. And that’s not counting those eliminated teams looking to play spoiler. If anybody had any lingering doubts about whether the additional Wild Card place this year was a good thing, they need only look at the standings as we head into the final two weeks of the regular season. No fewer than 10 teams in the National League have a valid shot at making the postseason, while eight teams in the American League are in with a chance. Everything really is still to play for. Here’s a look at some of the important games on tap Tuesday night. If you’re thinking of placing a wager or two, you’ve got plenty to contemplate first; no fewer than 14 of the 15 games feature teams still in the postseason hunt. Jordan Zimmerman takes the mound for Washington against Los Angeles on Tuesday night. Los Angeles (76-71, 36-36 road) visits Washington (89-57, 44-27 home) on the back of a 4-game split with St. Louis. The Cardinals remain one game up in the race for the final Wild Card place – Atlanta has all but wrapped up the first Wild Card. Winning in Washington is essential, especially with a tough trip to Cincinnati following. The Dodgers may have a chance on Tuesday night as Washington pitcher Jordan Zimmerman (10-8, 3.01 ERA) looked tired last time out. Aaron Harang (9-9, 3.79 ERA) takes the mound for L.A. and has been consistent at keeping his team in the game if not winning. Los Angeles swept Washington in a 3-game set at the end of April. The Nationals are sitting on three straight losses to the Braves, who are closing the gap in the NL East. Take Los Angeles to upset the Nationals in this one. Take the under on 8 runs. After a late surge, Ryan Braun and the Milwaukee Brewers (74-72, 28-43 road) are somehow back in the mix for a postseason berth. They head into Tuesday’s game tied with Pittsburgh (74-72, 42-30 home) at 2.5 games out of the final Wild Card place. Pittsburgh has gone into free fall over the last month and now looks unlikely to be play on in October. However, with their ace A.J. Burnett (15-7, 3.66) taking the mound on Tuesday they look a good bet to squeeze past the Brewers. Take the underdog Pirates at +105 in this one. Take the over on 7.5 runs. 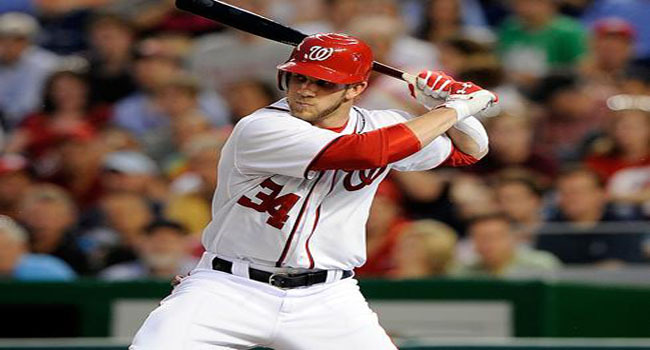 National League Round Up: Atlanta (85-63, 42-31 road) is favored over Miami (65-83, 34-39 home) and looks a safe bet. Ian Kennedy pitches for Arizona (72-74, 36-36 home) giving the D’Backs a decided advantage over San Diego (71-76, 31-41 road). St. Louis (77-70, 43-29 home) hosts Houston (48-99, 16-56 road) and should win in what will be the Astros’ 100th loss of the year. Philadelphia (74-74, 37-37 road) will be underdog in New York but Monday night’s win will spur the Phillies on to victory. Detroit will look to Max Scherzer to lead the team to a much-needed victory over Oakland. Detroit (77-69, 43-28 home) lost in Monday night’s rescheduled game in Chicago, dropping the Tigers to three games back of the AL Central-leading White Sox. It’s now looking increasingly unlikely Detroit will be playing come October. Oakland (84-62, 40-31 road) on the other hand continues to hold tight to its postseason hopes. A series win over Baltimore, and an 8-2 record over the last 10 has the A’s headed for Detroit on a roll. Expect a slight bump in the road as Max Scherzer (16-6, 3.77 ERA) takes the mound on Tuesday night. Go with the favorite Tigers in this one. Texas (87-59, 40-32 road) has been quiet of late. That’s what happens when you consistently go about your business. The Rangers have led the AL West since April 9, and rarely looked like relinquishing that lead. Oakland currently sits three games back, and has seven still to play against the Texas side, so it’s not quite a done deal yet. Tuesday sees the Rangers enter a game as a rare underdog, something that can be attributed to Jered Weaver (17-4, 2.74 ERA) taking the mound for the Angels (80-67, 40-32 home). Without Weaver, the Angels would have been long-gone in the hunt for the postseason. As it stands, the Orange County side is just three games back of the final Wild Card berth. Despite the pitcher’s record, take Texas in this one. This is a team looking to close out. American League Round Up: Andy Pettitte (3-3, 3.22 ERA) returns from injury to start for the Yankees (83-63, 43-29 home). The Bombers are favored over Toronto (66-79, 30-41 road) and there’s very little to suggest going against the odds. Tampa Bay (78-69, 39-33 home) has fallen behind the pace and will need to beat Boston (67-81, 34-38 road) to stay in the hunt. Monday night’s loss was a reminder that the Red Sox can still play spoiler. Take the favored Rays in this one though. Meanwhile, expect Baltimore and the White Sox to win respectively.